Hello everyone, I'm Riva, one of the original creators of Revenant Gaming. We are a gaming community that has been around the scene for about 8 years now. We started as a SWTOR community and quickly grew into a multi-gaming resource. Although quite popular in it's early years, Revenant currently hosts a wide variety of PC Servers for games such as Ark, Space Engineers and more. That being said, we were a great community of casual and competitive gamers and I would love to recreate that same community for the PS4 scene. So I'm searching for other like minded people to help run the PS4/console side of the community. Looking for people with some past experience running communities or guilds and that are 18+. If your interested contact me with any of the following methods below. Hosting Community Servers for games such as Ark, Conan, Space Engineers, Dayz and more. Multi-game community so you can play the games you want to play. I. 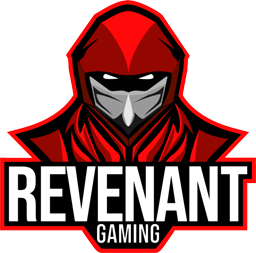 What is Revenant Gaming Community? a. Revenant Gaming is a Multi-Gaming Community. We play and host a wide variety of games from Survival games to MMORPGs. II. What is the history of Revenant? a. Revenant was formed in May 2011 through a collaborative effort of several contributing guilds to merge into a more idealistic single guild. Revenant planned for many months for the release of SWTOR and, as such, was a Day 1 launch guild on the Terentatek server. We are celebrating 7 years as a successful gaming community. III. What is Revenant’s play style? a. Revenant gaming environment is casual gaming community. We also leave the door open for competitive teams. We want gamers who enjoy gaming, and enjoy a community of other gamers. IV. What is Revenant's Game/Leadership Structure? Revenant is made up of Two Divisions. Open Division - Our Open Division is a Open membership to Revenant Gaming. It is for any member who would like to participate in Revenant events and support the community, but do not belong to a Team Division. Many members of the open division par-take in our hosted servers such as Ark or Space Engineers. Team Division - Our Team Division consists of games that have a dedicated team or group of players. This division would be filled with teams for games such as CSGO, LOL, Overwatch, Heroes of the Storm, Hearthstone, etc. V. Can I start a Division? Absolutely, We are always looking for members and leaders for new games. If your interested, contact us via one of the methods below. VI. How do I join? Simply visit http://revenantgaming.com/join and fill out an application. We accept almost all new members as long as they pass a few basic rule sets. VII. I would like to play a game that isn't listed in your currently played games, is that a problem? Not at all, many of our members play all sorts of games. If you would like to start a gathering or division see V.
VIII. Are you looking for staff? Yes. Please checkout http://revenantgaming.com/threads/open-staff-positions.2011/. There is also loads of other stuff that we constantly need that aren't always listed. If you feel like you can help out, send us a message at RivaCom(Discord: Riva#0219). IX. Are there any requirements to join Revenant? X. I have another question or wish to discuss the community further. Who can I ask? You can contact me multiple ways. Updated Post! Give me a message!